Balls made of potato, cod, olives, and olive oil, rolled in chorizo powder are the best thing to eat on Mars, according to the judges of "La Patata Marciana" contest. The objective of the Spanish competition was to find the best dish for astronauts to cook and consume on the red planet in a hypothetical future scenario. Competitors had to take into account both the creativity and also practicality when coming up with recipes. Lisbon-based Brazilian chef Kiko Martins was selected out of eight finalists in the "professional" category. His winning potato-based recipe also featured an algae-based sauce. Martins, whose parents are Portuguese, is a renowned international chef and was inspired by the beauty of Mars for his potato, chorizo ​​and cod creation, which he named "One, two, three... Mars!" 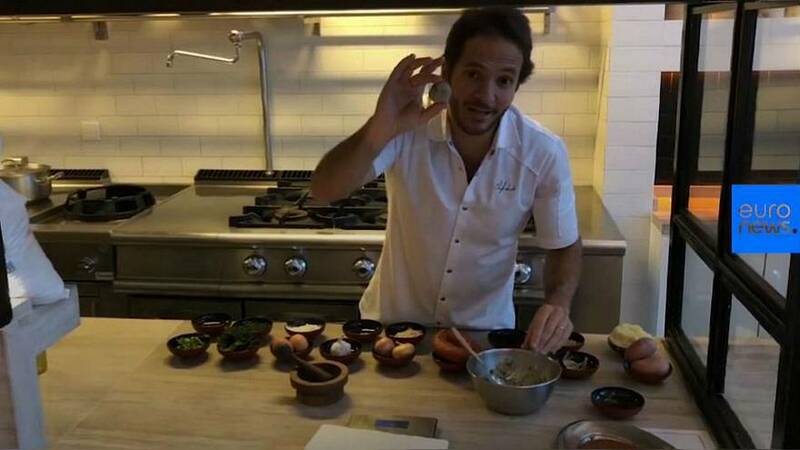 In order that all the components of his dish might reach Mars in one piece, Martins proposed a dish with dried ingredients.